Midnight Special is the kind of movie with few easy answers. 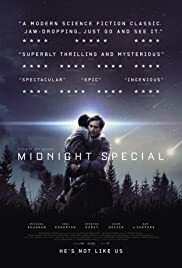 Jeff Nichols dense, intelligent script is offset by too little information regarding character motivations and backstory that could help the emotional core of the movie resonate more fully with it's eye-opening end. Strong direction and performances however ensure that this is a movie worth watching.